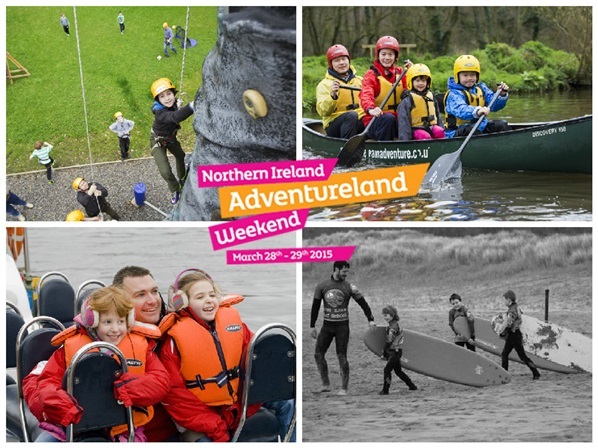 If you want to get outdoors more with the kids, are looking for new ways to keep them entertained or want an exciting family day out that everyone can enjoy Northern Ireland Adventureland Weekend has got it covered. For one weekend only on Saturday 28th and Sunday 29th March a whole host of outdoor activities are being offered for just £10pp or a massive 50% off normal prices meaning you can have a fantastic day out for less. An exhilarating sightseeing boat tour of Strangford Lough. See the SeaGen, Angus Rocks Lighthouse and some of the many seals at Cloughy Rocks Nature Reserve. This trip is run at the best time of day to see ‘The Narrows' unusual natural phenomenon - the surface whirlpools! Explore Castlewellan Lake from a sit on top Kayak. Friendly instructors will have the whole family paddling in sync in no time, just watch out for the kids splashing you! Get the family together, put a wetsuit on and jump into the blue Atlantic Ocean; it’s time to learn how to surf the waves into the shore! This exhilarating and exciting experience is perfect for all families who love the beach and everything about it. Have you got a head for heights? You will after this high ropes session! Get your heart racing as you climb to the top of the outdoor course before feeling the rush abseiling back to solid ground in time to take on the vertical assault course. Wet bouldering is all about the water – make your way up a river, jump into pools and climb up waterfalls on this wet and wild experience all under the supervision of fully qualified instructors. Experience the North Coast like never before as you take in the glorious sights of Ramore Head, Dunluce Castle and much more all whilst zooming across the water on a high speed boat. A fantastic and thrilling boat trip to Rathlin Island! Your skipper and guide Alan Wilson will bring the Causeway Coast to life with fascinating descriptions of local landmarks & rare wildlife as you make your way on a high speed rigid inflatable boat (RIB) to the most northerly inhabited island off the coast of Ireland. Enjoy exclusive use of the boat for you and your family along with your very own instructor ensuring you will get plenty of hands on experience from the experts. Have a splash on the water and try canoeing right in the heart of the stunning Lagan Valley Regional Park just minutes from Belfast City Centre. Suitable for ages 4 and up this one is perfect for the whole family, even the little ones. Breckenhill are bringing all the fun of the fair into the 21st century with their Family Activity Fun Day suitable for all ages. This fantastic rural venue only 30 minutes from Belfast has everything needed to keep the whole family amused. A blend of exploration, adventure, myth and ecology, this outdoor session will have you foraging for food, scavenging in the undergrowth, wild cooking and taking on the Tarzan challenge! Spend the first hour mastering the heights of the Climbing Wall before stepping into the shoes of Robin Hood for an archery session. It will then be time to work together to find the checkpoints and develop your navigation skills on the orienteering challenge. Follow in the footsteps of Robin Hood, Katniss Everdeen or Jon Snow as you perfect your bow and arrow skills. With expert instruction on hand at all times you'll be hitting the bull’s-eye in no time! Check out the Northern Ireland Adventureland Website for loads more activities on offer for just £10 or 50% Off and to book online today. 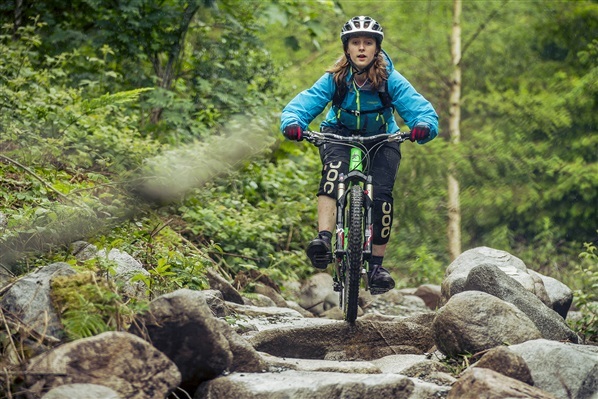 With over 110km of purpose-built trails opened across five trail centres in the last two years, Northern Ireland is fast becoming the UK's most talked about mountain bike destination. With stacks of MTB-friendly accommodation options near each trail centre and a great selection of cafes and restaurants where you can load up on your carbs before your ride and replenish all that spent energy in the evenings, this corner of the UK is a true mountain biker’s paradise! Never biked in Northern Ireland before? We thought we’d put together some local recommendations of MTB-friendly places to stay, eat and drink near each of Northern Ireland’s stunning new mountain bike trail centres. 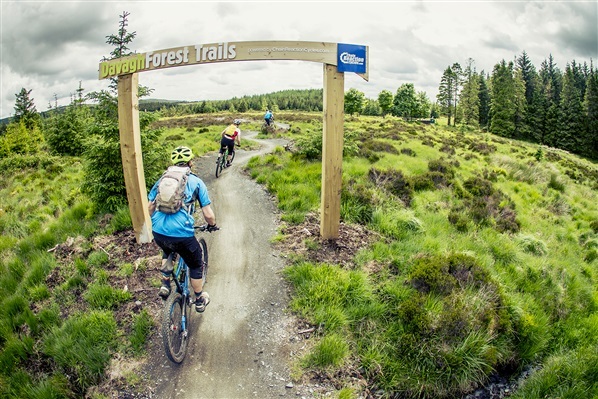 The Davagh Forest Trails are tucked away in the untouched rural landscape of the Sperrin Mountains and offer exhilarating cross-country trails that’ll tick everyone’s boxes. The family-friendly green trail is perfect for those giving mountain biking a go for the very first time whereas the easy going blue trail boasts some sections of more technical singletrack for those with a bit more experience. There is also a pump track and short skills course located at the trailhead however if you’re after a fast trail that’ll keep you on your toes then Davagh’s Red Trail is for you. This unique museum allows you to immerse yourself in the fascinating story of the Irish migration to America in the 17th, 18th & 19th Centuries. Walking through the park, you can follow their journey from the thatched cottages of Ulster to full scale emigrant sailing ships and the log cabins of the American Frontier. Definitely well worth a visit if you are planning a day off the bikes. On the shores of Carlingford Lough, the Rostrevor Mountain Bike Trails offer some of the most challenging mountain biking in all of Ireland where efforts are rewarded with incredible coastal views and lightning quick singletrack descents. When you add not just one but two purpose-built downhill trails to the mix, there’s no denying it… Rostrevor is a mountain biker’s haven. All fans of real ale and locally brewed lagers should not miss a trip to Whitewater, one of Northern Ireland’s most loved microbreweries. Also located in Kilkeel, Whitewater produce handcrafted beers from the finest ingredients with no additives and a tour of the brewery will teach you the various processes each bottle goes through before ending up in pubs and bars across Northern Ireland. 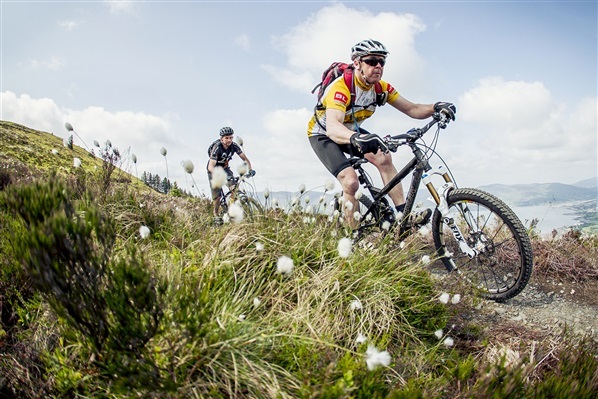 The Castlewellan Mountain Bike Trails consist of a range of fast, flowy cross-country trails just minutes from the lively village of Castlewellan. As well as delivering their fair share of adrenaline, these trails allow visitors to soak up unparalleled ‘mountainscape’ views of the Mournes. 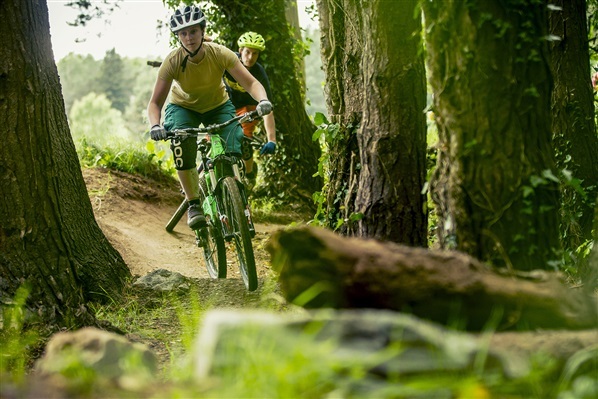 With green, blue and red grade trails (including black options) Castlewellan is a must-visit trail centre for mountain bikers of all ages and abilities. This multi award winning alternative seaweed bath house and spa is the perfect place to relax and unwind after a tough day on the trails. Located on the seafront in Newcastle, Soak offers a place to be spoiled in silky hot seaweed baths or enjoy rejuvenating spa treatments. Open all year round, there is a small café and even some self-catering apartments if you fancy basing yourself here. 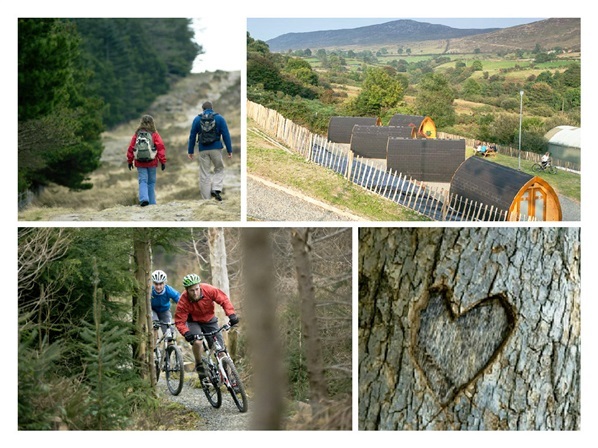 With a gentle winding blue trail, a purpose-built pump track and an exhilarating red trail offering a mix of technical black options, the welcoming Blessingbourne Trails are geared up for everyone from families to experienced mountain bikers looking for a relaxed trail centre set in a beautiful rural estate. Take an imaginary ride into the past with this enchanting collection of coaches, carriages, cabs and buggies as well as horse-drawn farm machinery. Among the numerous coaches on display is an 1825 London – Oxford stagecoach. Aeronautical enthusiasts will love the museum’s former UN helicopter! 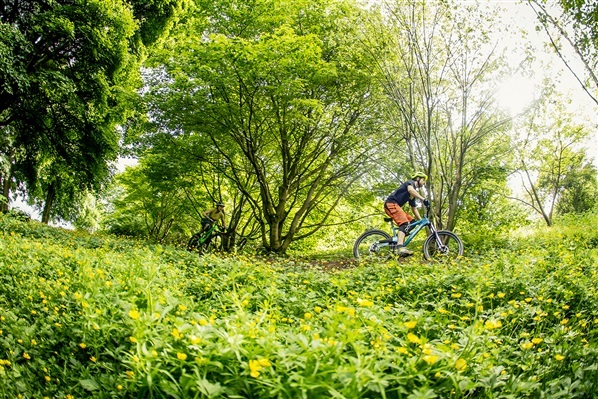 On the outskirts of Belfast, the Barnett Demesne Trails & Jumps Park offer a compact network of cross-country trails and the only official dirt jumps park in Northern Ireland. The trails alone are a great addition to your Belfast City Break however if it’s ‘air’ you are after then the jumps park should be your first port of call. Located only 30 minutes cycle (along the River Lagan Towpath) from the Barnett Demesne Trails & Jumps Park, the Ulster Museum is a treasure house of the past and the present and home to a rich collection of art, history and natural sciences. The revitalised museum tells the story of the people of the north of Ireland from earliest times to the present day. Impressive galleries and interactive discovery zones bring history, science and art collections to life for visitors of all ages. 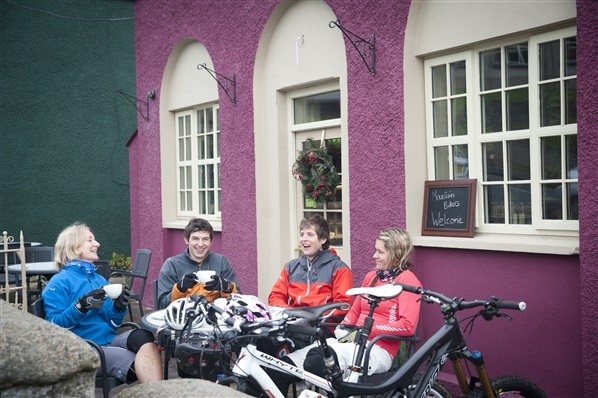 Check out MountainBikeNI.com for more information on each of these new mountain bike trail centres as well as a full list of MTB-friendly accommodation providers, cafes, pubs and restaurants in Northern Ireland. When it comes down to it, Valentine’s Day doesn’t have to be all about the clichéd flowers and candlelit dinners. It’s about making the time to be together, creating memories and most importantly having a laugh with the one you love. Good thing then that there are plenty of outdoor experiences you can enjoy together for a Valentine’s day with a difference in Northern Ireland. To celebrate Valentine's Day The Jungle NI are offering 10% off their activities on Sat 14th Feb. Swing from the tree tops together on a high ropes course, race each other through the forest on Segways or buckle up and roll downhill in a giant zorbing ball together. Try something new together with the iconic North Coast as your backdrop. Perfect for first time paddlers you’ll be kitted out and learn the basics in sheltered waters before heading out on the North Coast Sea Kayak Trail taking in sights and scenery only accessible by kayak. Spend the Night under the stars in Rostrevor with the views of Knockbarragh Valley in East Coast Adventures brand new glamping pods. Located in the foothills of the Mourne Mountains, within 4 miles of the picturesque village of Rostrevor head out for a hike or hit the Mountain Bike trails in Rostrevor or Castlewellan, just a 20 minute drive away. Enjoy a meal or a drink or two in nearby Rostrevor or Warrenpoint before snuggling up for the night. If you love Game of Thrones as much as you love each other then this is the perfect date for Valentines. 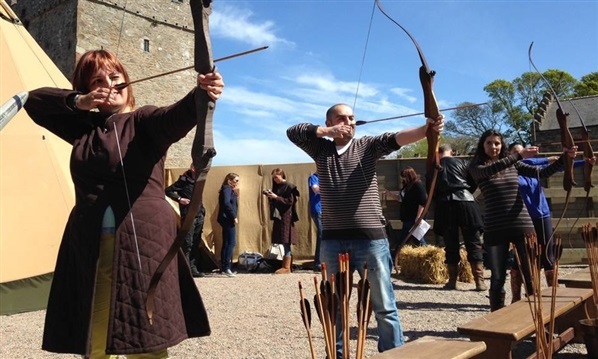 Channel your inner Ygritte & Jon and take aim in the very place where the BAFTA award winning TV show was filmed. You’ll get to dress up, and receive expert instruction in the recreated Winterfell set. Afterwards why not take time to explore the 12km of off road cycling and walking trails at Castle Ward on the stunning shores of Strangford Lough? What could be more romantic than a walk under a star-lit sky? This guided wild wander will take place on countryside paths through some of Derry’s best kept secret locations before ending in a cosy country pub where you can enjoy a drink or two together. 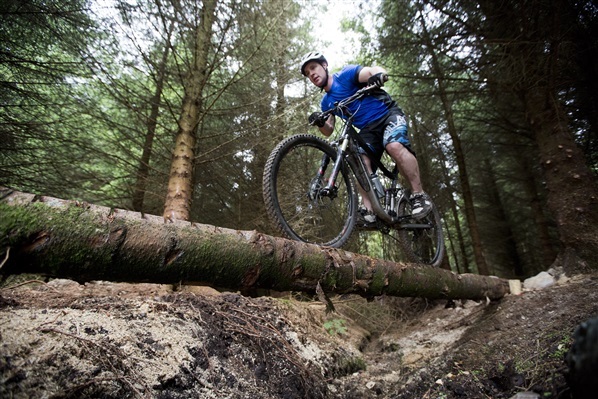 Choose between archery, climbing or mountain biking from only £9pp for a one hour session. Take aim together, encourage each other to the top of the climbing wall or head out on the bikes and race each other on the outdoor trails. Whatever you get up to have a great Valentine’s Day in Northern Ireland!